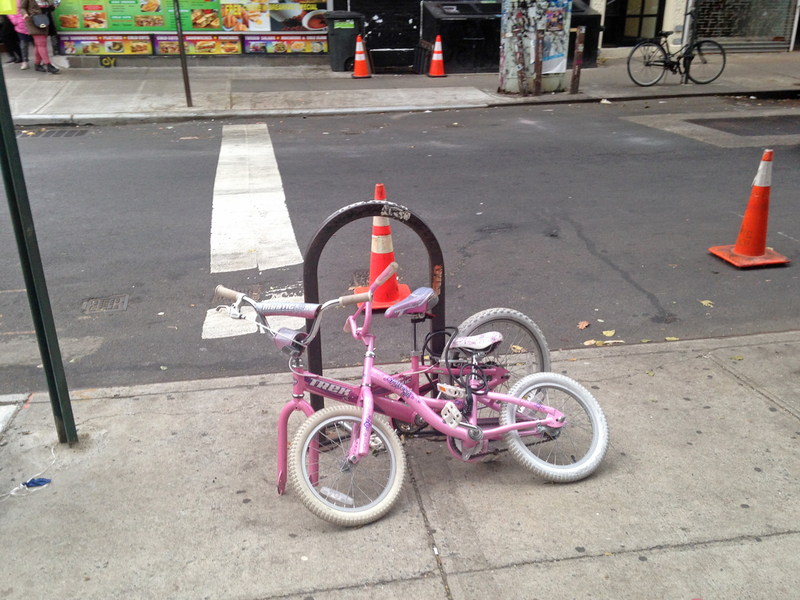 At the corner of East 4th Street and Avenue B lives the bicycle family. 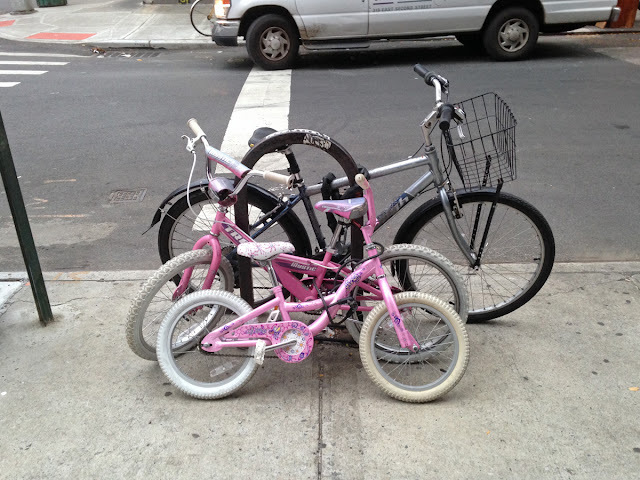 One day, the daddy bicycle disappeared, leaving the sisters to fend for themselves! ref. 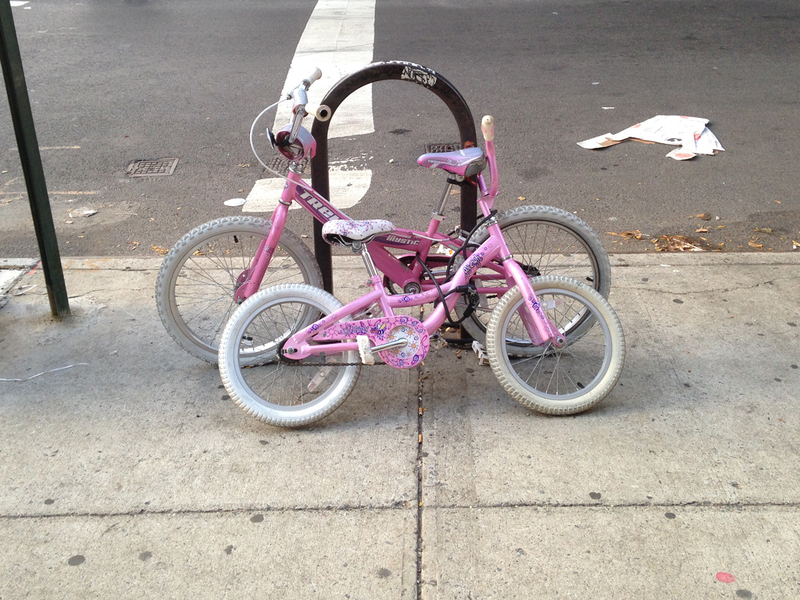 third photo: meanwhile, across the street, a bike, chained and alone in the cold, waited patiently for its owner to return.